In March and April of 2016 Dr. Alicia Teferi and her husband Moti, along with their son Ezra traveled to Ethiopia. They were going to head up a surgery project that was funded by donations to Here4Them. Donations are used to cover the cost of these necessary surgeries for those living below the poverty line. Dr. Alicia was in the last few months of medical school at Loma Linda University (LLU). She is currently in a residency program at LLU to become a General Surgeon. She would like to return to Ethiopia as a missionary doctor when she has finished that program. 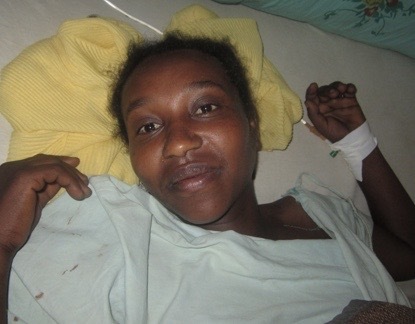 Dr. Alicia reports that, "During our two week surgery project we were able to cover 26 surgeries. We did 5 inguinal hernia surgeries, 1 umbilical hernia, 4 hydrocele surgeries, 11 hemorrhoidectomies, 1 excision of an inguinal mass, 1 hysterectomy for cervical cancer (found after examination for hemorrhoids), and 3 emergency obstetrical surgeries." 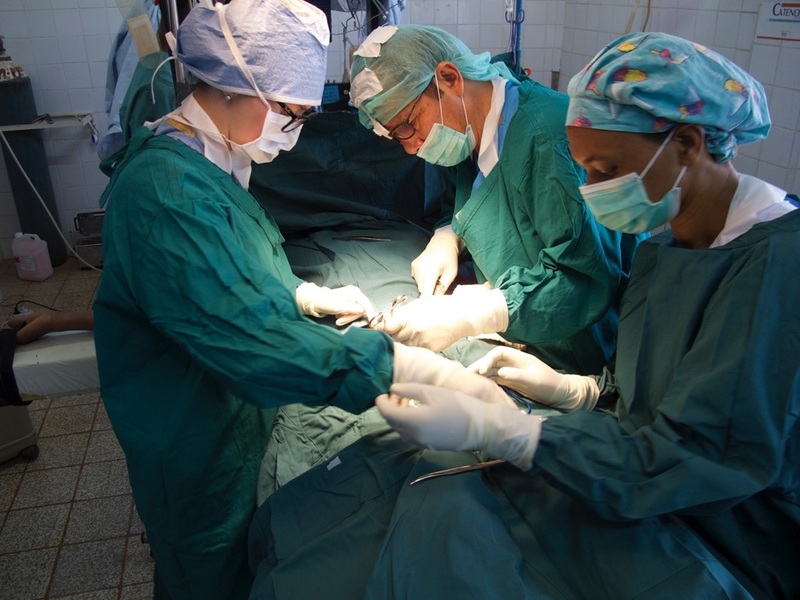 Dr. Alicia Teferi, (L) and Dr. Victor Valenzuela (C) during this surgery project. A story of how the General Surgery fund help this woman. YOu may donate by choosing your project of interest from the "current Projects' menu. Here4Them is a 501 (c) (3) public charity. This Christian ministry is supported by people who believe in our work and mission. To view the Donation Policy click here.